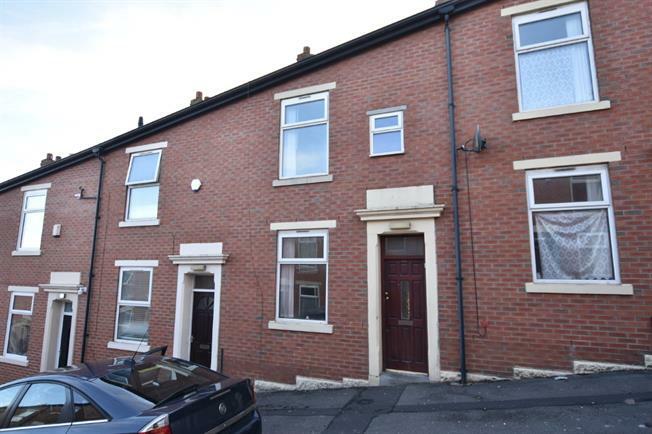 3 Bedroom Terraced House For Sale in Blackburn for Asking Price £80,000. The property comprises an entrance hallway with stairs leading to the first floor, a reception room at the front, lounge at the rear and a kitchen in a two storey extension at the rear. Upstairs there are three bedrooms and a large family bathroom and a separate WC. Wooden back , opening onto the yard. Double glazed uPVC window facing the rear. Tiled flooring, ceiling light. Roll edge work surface, wall and base units, stainless steel sink. Double glazed uPVC window facing the front. Laminate flooring, ceiling light. Double glazed uPVC window facing the rear. Radiator, vinyl flooring, ceiling light. Standard WC, panelled bath, pedestal sink.